AJ Tensile » Winter is coming again, so up goes the tennis dome. YOU ARE HERE: AJ Tensile Manufacturing > News > Uncategorized > Winter is coming again, so up goes the tennis dome. 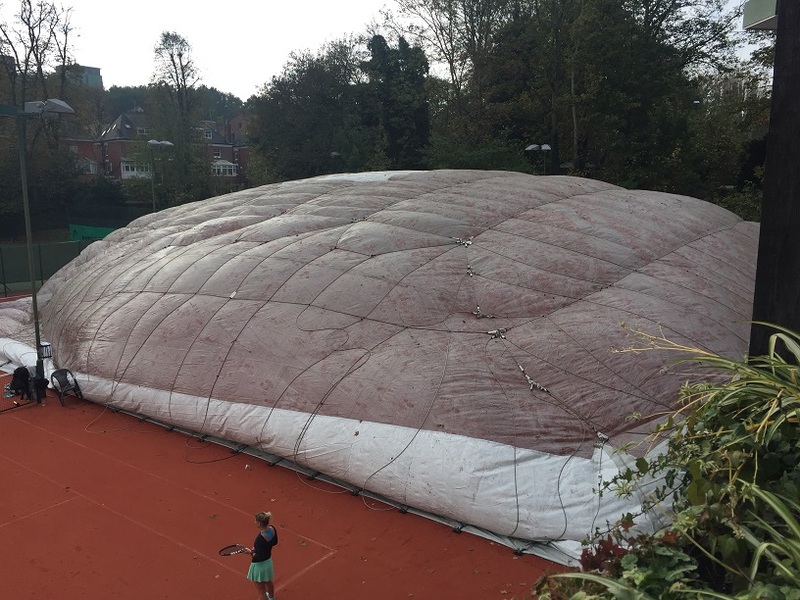 Winter is coming again, so up goes the tennis dome. It seems like only yesterday when spring had sprung and we were called in to deflate the Coolhurst dome ready for summer. Time flies like an arrow though and winter is almost upon us, so it’s that time of year again to give comfort and protection to the hardy cold-weather players. This time the dome is covering two of the club’s new clay courts rather than the hard surfaces of previous years.